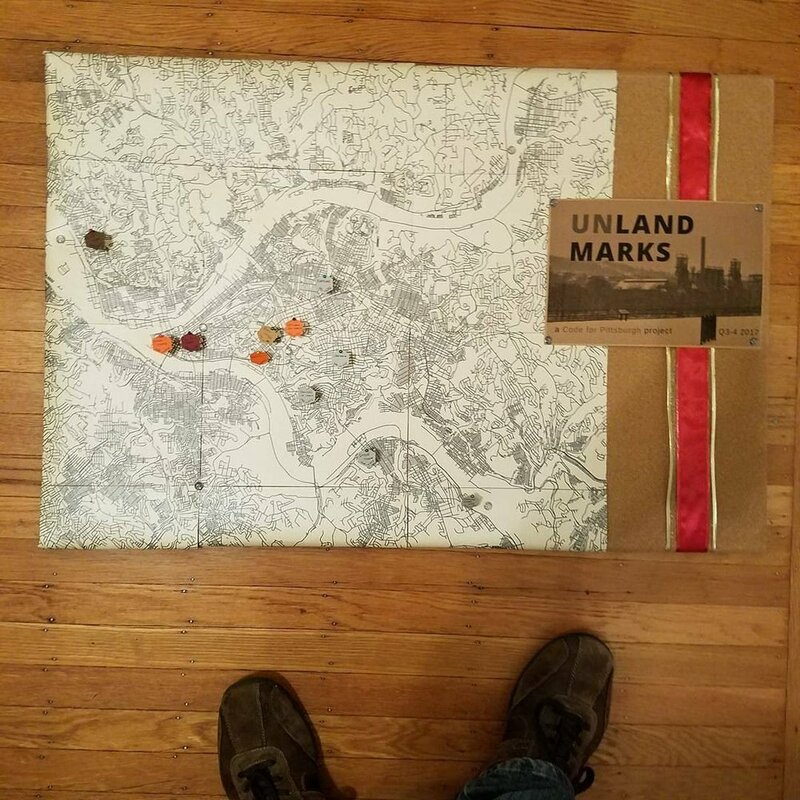 The Unlandmarks Map is a map of landmarks in Pittsburgh which exist only in memory - the actual landmarks are closed, bulldozed, rebuilt, or otherwise gone. 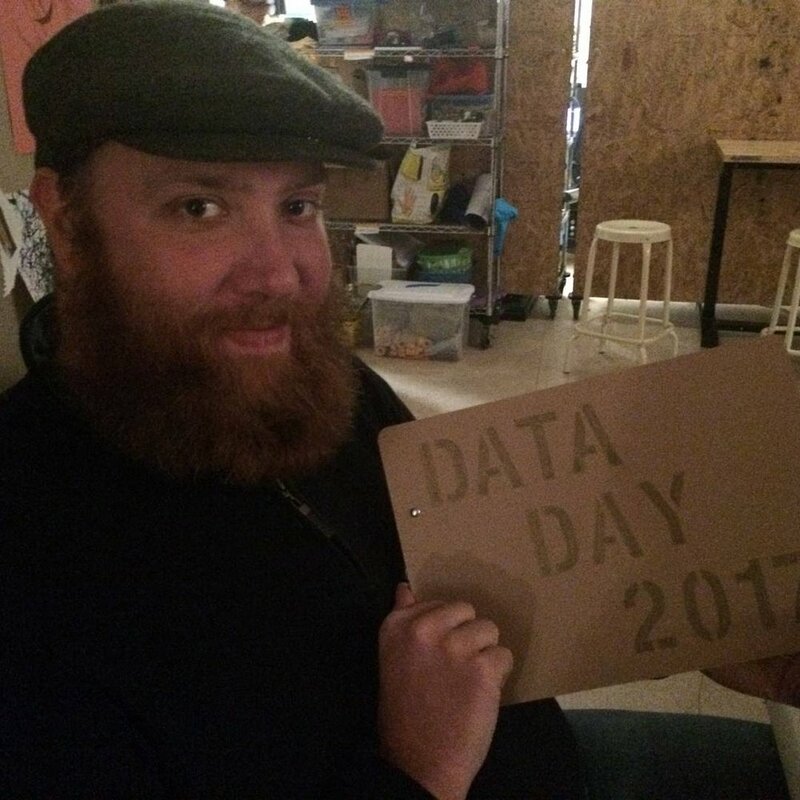 The map was being built by Code for Pittsburgh, during the last half of 2017. Code for Pittsburgh is the region's civic technology meetup group - we gather together as a community to use technology to make the lives of our friends and neighbors better. We worked on the project for the last half of 2017. The project is on hiatus as of March 2018, but be assured, the work will continue in new forms! 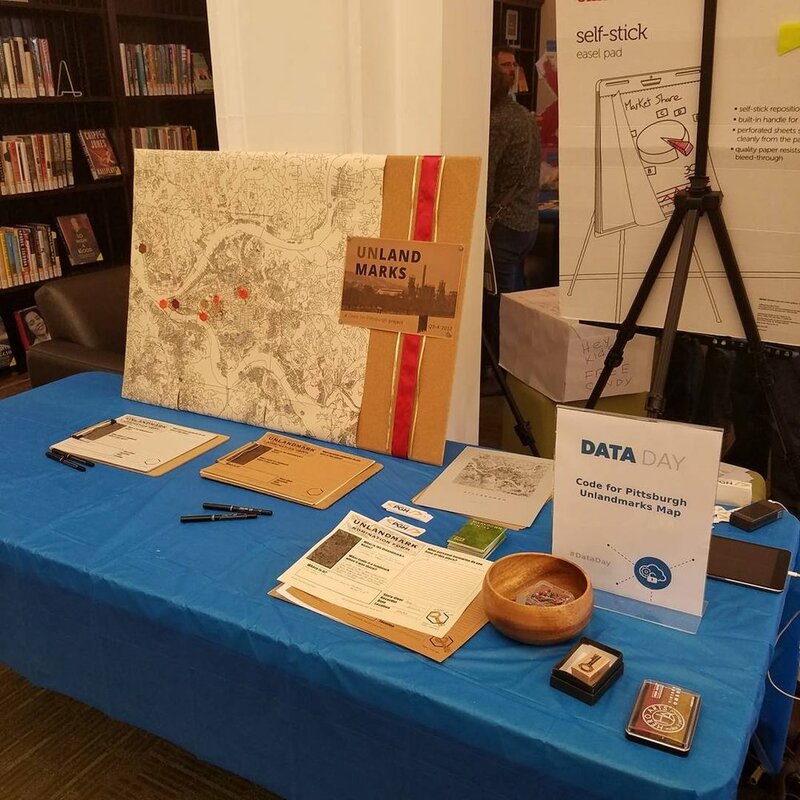 Data Day was a community festival event put on by the Carnegie Library Main. During that day, community members took the time to nominate unlandmarks for the map, and share their personal stories about those now-gone places. Below are highlight photographs from the day, including the nomination forms, a physical version of the Map, and the community at large! The next phase of the Unlandmarks project was a community listening session in partnership with the Creative Nonfiction Foundation. This phase consisted of a training evening for volunteers, and then a community listening session at the Creative Nonfiction offices on Friday, November 3, 2017, during the monthly Gallery Crawl that happens in that neighborhood. The first #unlandmarks map community listening session was last night at @creativenonfiction , during Unblurred, Garfield's art district crawl. Code for Pittsburgh volunteers interviewed 16 neighbors and recorded 40+ memories of things-that-are-gone. I was so pleased by the turnout, by the amazing interview volunteers, by the super friendly and fascinating CNF staff, and by the generous neighbors who shared their stories. We heard about childhood haunts, how long-gone bakeries once smelled, the social dynamics at an Insane Clown Posse concert. Once the interviewers got going, the room was full of neighborly civic energy. Collaboration and celebration of a shared history. I'm in awe of the connective power of these shared memories of place. By the end of the evening, there were no strangers in the room. 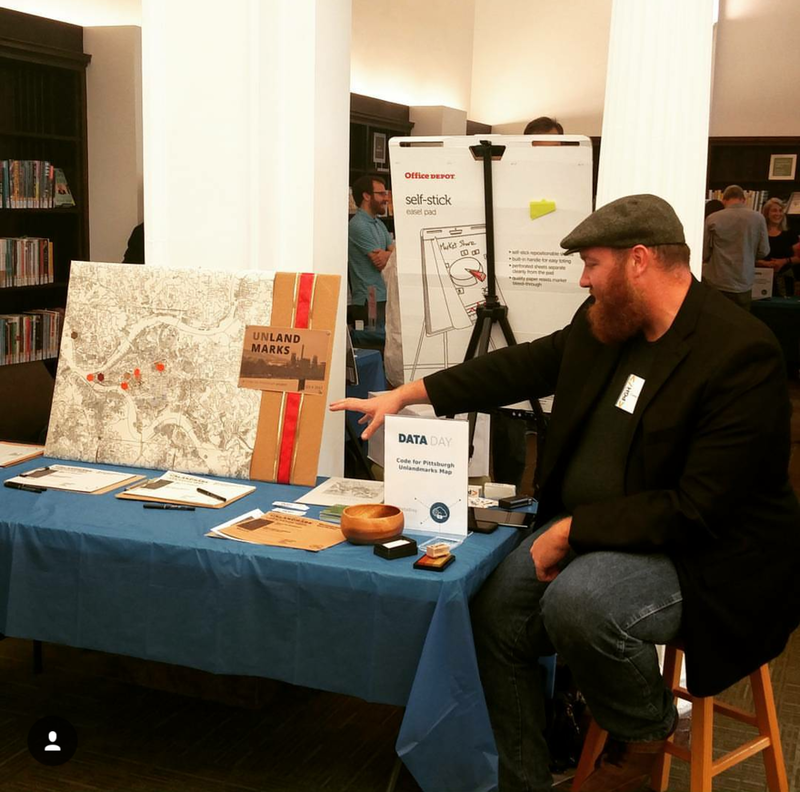 For the month of December 2017, the Carnegie Library Main hosted an art show inspired by the Unlandmarks map, including work by myself and two local artists, as well as historical photographs and reflective essays. City Spree 2018 Poster: 5K. No Course.